Ready for day 2 of itch.io week? In case you missed, yesterday was about the about the new app. Many game developers tend come with their own pages for their games. They’ve put together a beautiful a landing page with the prefect images, gifs, and description. Sure the itch.io project pages can do a lot, but nothing’s better than a page made just the way you like it. Alright… now how do you sell your game on it? 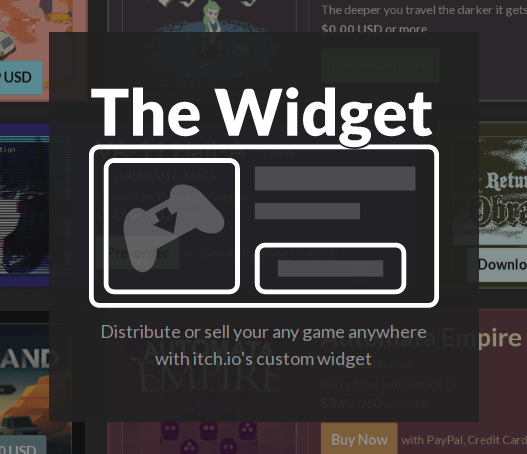 The idea of an embedded widget on itch.io is not new, we launched the original widget way back in 2013, and there haven’t been many updates since then. We’ve decided to give it some upgrades to celebrate the second day of itch.io week. The design of the widget can now be customized. You’ll find a completely new page in your dashboard with many controls for adjusting the appearance of your widget. You can change the colors to match whatever design you have in mind. 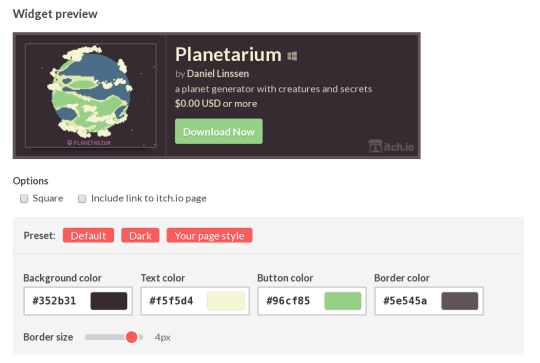 You can even copy over the colors you’ve already used on your game page. Just head to the distribute tab of your game’s edit page. The widget is now responsive. If you have specific size constraints for where you’d like to put your widget then just change the dimensions of the iframe. We’ve even introduced a new tiny square mode for ultimate space savings. We’ve got a special treat today: two developer interviews. Say hello to Robert Yang, an indie game developer, academic, and writer, based in New York City. And say hello to Kyle Seeley. 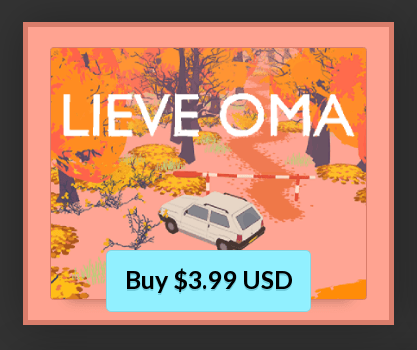 He released his first independent game, Emily is Away, last year. Thanks for checking the post out, see you tomorrow!